If you’ve spent much time working in a UNIX environment you’ve probably seen the load averages more than a few times. I have to admit that even in my sysadmin days I didn’t fully understand what these numbers were, but Zach did some digging a while ago to try to understand where these numbers are comming from. The formula is a bit more complicated than that, but this serves well as a functional definition. Zach provides a bit more detail in his article and also points out Dr. Neil Gunther’s article on the topic which has as much depth on the topic as anyone could ever ask. So what does this mean about your system? Well, for a quick example let’s consider the output below. The load average of a system can typically be found by running top or uptime and users typically don’t need any special privileges for these commands. Here we see the one minute load average is 2.43, five minute is 2.96, and fifteen minute load average is 3.41. Here are some conclusions we can draw from this. This system is busy, but we cannot conclude how busy solely from load averages. It is important here to mention that the load average does not take into account the number of processes. Another critical detail is that processes could be waiting for any number of things including CPU, disk, or network. So what we do know is that a system that has a load average significantly higher than the number of CPUs is probably pretty busy, or bogged down by some bottleneck. Conversely a system which has a load average significantly lower than the number of CPUs is probably doing just fine. 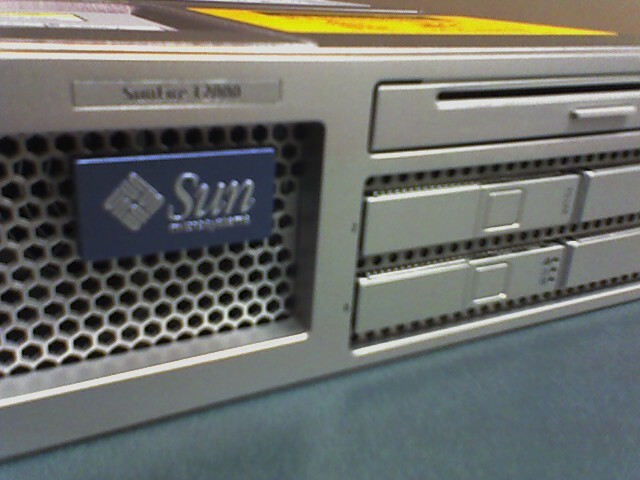 To change the display resolution or refresh rate on a SunBlade 100 or similar Sun hardware isn’t as easy as it sounds. Or at least it’s not obvious. These directions are for an M64 type graphics accelerator. The steps are similar for other Sun graphics accelerators, but the command will be different (maybe ffbconfig). Check your hardware documentation for details. These coommands should be run as root. I recommend running these commands via ssh from another system. If you accidentally change the resolution to something that is not supported you won’t be able to see so well to change it back. To change video settings you’ll first want to find out what the card and display are capable of. This will print the resolution and refresh rate options you have. Where three numbers are listed this represents the horizontal and vertical resolution and refresh rate respectively. The current configuration will be shown with a  next to it. Write down the current resolution and refresh rate. There are a lot to choose from and you’ll want to know you can get back to one that works. Configurations marked with a  are not supported by the video card and will probably not work. To change the settings run this command with the desired resolution/refresh rate. The now forces the system to change these settings immediately rather than at next refresh. Your monitor should click and flicker and with luck will then come back at the new resolution. If it doesn’t you can change it back to the old settings by running the m64config command with the orignal settings. You did write the old setting down like I told you to right?